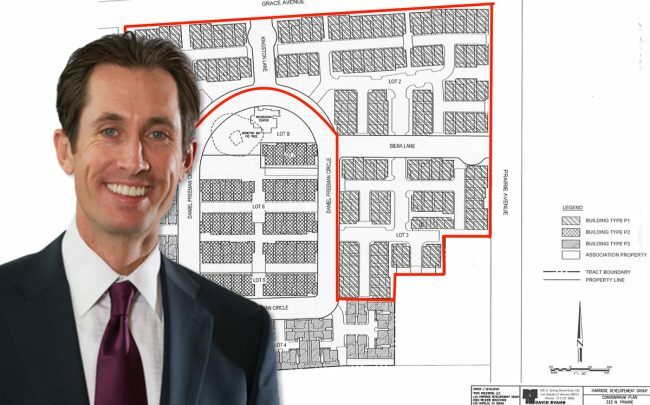 Pulte Homes has bought into a major residential development site in downtown Inglewood amid the city’s construction boom. Los Angeles-based Harridge Development Group sold a portion of the property to the Atlanta-based homebuilder for $42 million. Pulte acquired a large chunk of the former Daniel Freeman Hospital site at 333 N. Prairie Avenue. Harridge — which is developing the 1.4 million-square-foot Crossroads of the World megaproject in Hollywood — bought the 18-acre hospital site in 2017. It tore down the existing structures, and subdivided it into six parcels. That cleared the way for 226 new single-family condominiums to be built. Harridge is holding onto three of the original plots and will develop them on its own. Land Advisors marketed the property. Pulte will build 105 homes on its share of the land, divided into two separate communities, a spokesperson said. The publicly-traded company expects to open in the fourth quarter. Pulte has built multiple communities in San Bernardino and Orange counties but only one in Los Angeles, according to its website. Harridge did not return a call for comment. Housing development has accelerated in Inglewood thanks in large part to the construction of major sports stadiums. A $2.6 billion stadium is being built to host the NFL’s L.A. Rams and Chargers and another stadium will be home of the NBA’s L.A. Clippers. Pulte and Harridge will both contribute to the site’s common areas. Aside from that, they will develop the projects separately, the Pulte spokesperson said.